Crossing the Red Sea - Pursued by the enemy, fearfully running for his life, he came to an ocean too wide, too deep and too immense to cross. He couldn’t go back and he couldn’t go forward. He needed a miracle. Moses’ story inspires us and straightens our faith but, now a modern-day story, Crossing the Red Sea, does the same. The reader will remember the characters long after the books is closed. Andrew Martin was trapped by the pangs of abandonment, poverty, and limited education, until God called him and placed him at the shores of his Red Sea, and said, “Put your foot into the water and trust me for your won miracle”. Page after page, reveals God’s grace, woven through a troubled life, and how God took a tortured young man and made him a great man of God. 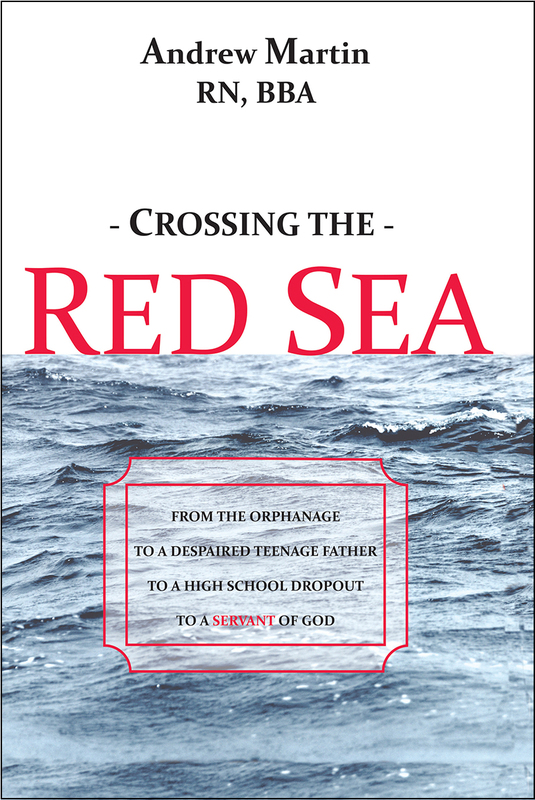 Andrew became Shepherd Andrew Martin, a minister and servant of God, whose testimony, “Crossing the Red Sea” is an encouragement to all who need to know - with God, no one is hopeless!